It's a treat most beloved in the United States, but caramel has made its way to masticate in mouths all over the globe in the form of soft, chewy caramel candies; caramel-coated popcorn; inside chocolate bars, pralines and nougat; as the flavour of puddings and ice creams; and as an eponymous ingredient in desserts such as the decadent crème caramel. So, how did this gooey goodness come to be? Historians believe that its beginnings lie in America sometime after 1650 when settlers began making hard candies in kettles. They don't know exactly when or who the genius was who added fat and milk to the boiled sugar and water, but voila, caramels were soon appearing all over the country. That was when Milton Hershey launched his candy-making empire - not with chocolates for which he is most renowned, but with caramels. He actually discovered his love of chocolate while making a complimentary coating and topping for his caramel candies and thus sold his Lancaster Caramel Company and switched to chocoholism instead. Caramel, toffee and butterscotch are the same thing, right? Wrong. If you've ever wondered about the difference between the similar-looking sweets of toffee and butterscotch, you're not alone; they're frequently mistaken for one another. The important distinction comes both with the milk and the sugar. 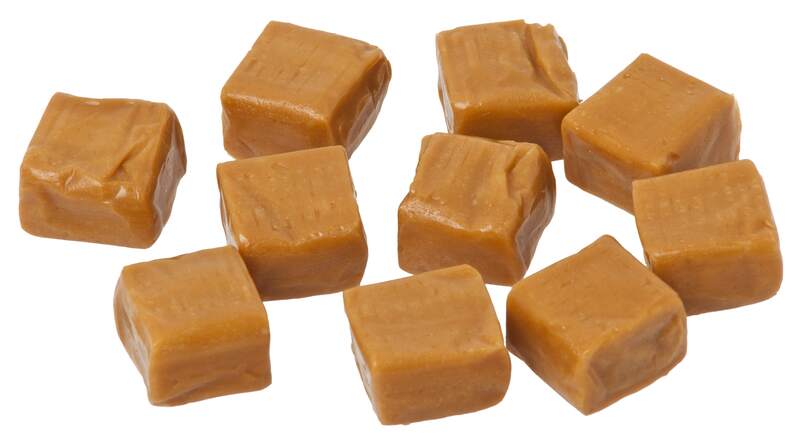 To achieve the soft, gummy texture of caramel, you need either milk or cream, whereas toffee is pretty much just sugar and butter, which gives it a crunchier bite. Butterscotch is made with brown sugar and butter and often also contains milk. Using this type of sugar gives it a different flavour, which sweet connoisseurs profess to being extremely different from caramel, which is made with granulated sugar. The key to making a caramel is boiling sugar slowly to 170 degrees Celsius. The sugar liquefies, breaking down into its characteristically tawny brown colour, then milk or cream is added (and sometimes butter, vanilla or maple flavouring). The heated milk combined with the sugar creates the caramel flavour, and it is the milk that prevents the caramel from turning into a hard sweet. The addition of a very small amount of butter adds a further elastic nature to the confection. The longer you cook caramel, the harder the end product (with a milder flavour) than those caramels with a shorter cooking time - instead resulting in a more malleable chew and intense caramel taste. Making caramel is not a complex process at all and is well known for being a foolproof at-home indulgence. There are loads of variations in flavour and malleability; a minute more on the hob or a few degrees higher in heat will result in a harder caramel, while a few degrees the other way will give a chewier confection. 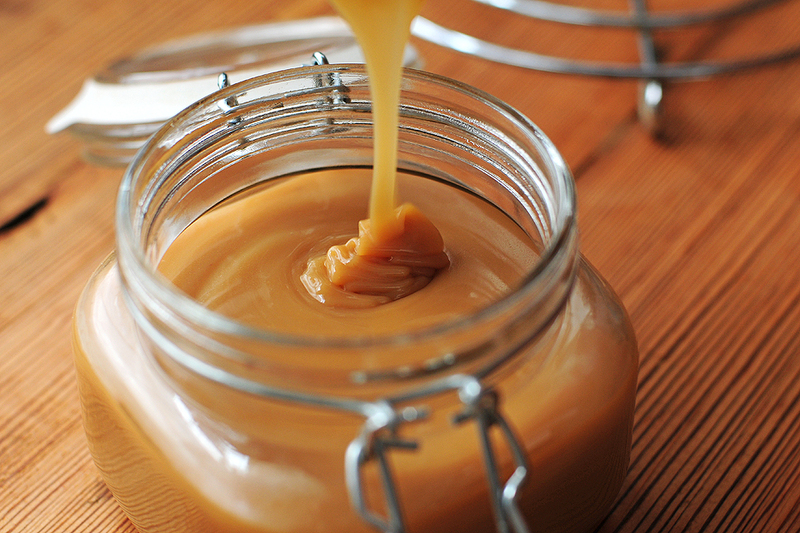 Try this simple recipe for your own caramel creations. Butter a 23 x 33cm baking dish. In a pan, mix the syrup, sugar, butter and 1 cup of the cream together and heat to boiling point. Add the remaining cup of cream and use a sugar thermometer to heat to 116°C. Pour into a baking dish and leave to set. Cut into cubes and wrap in a greaseproof paper.